At the time of choosing CCTV system for your home or office, you may realize that so many different kinds of camera options are available there for same. PTZ or point and zoom camera is one these camera options that you can use for CCTV monitoring system. Many people consider PTZ camera as the best option for video monitoring system, while others may have negative opinion for same. Those people can defiantly have their reasons to make such opinion for PTZ camera and I can’t say if they are right about it or not. However, I can share Pros & Cons On HD-PTZ Cameras with you and then you can decide if that particular system is good for your CCTV monitoring system or not. Easy to control: As the name point tilt and zoom explains it all, you can control it manually or automatically and you can get better picture of any person or object easily. This manual and auto control facility allows you to have more control on the camera front and if and unwanted person is situated at a significant distance, then you can simply do the optical zooming and you can capture the image of that person with ease. This movement can be consoled by humans or you can leave it on automatic mode and it will do all the controlling on its own with the help of software. Cover large areas: Since a HD-PTZ camera can automatic rotate and move on its axis so if you want to cover a large area with one CCTV camera you can easily do that. In fact, HD-PTZ cameras can cover a large area with utmost simplicity. And its zooming facility can also help you get better images as well while covering large area with single camera. This is something that you may never get with a fixed focus CCTV Camera. Needless to say, we can say this is one of the most amazing benefits of HD-PTZ camera. In this process of covering large area, you can also set the HD-PTZ camera on automatic mode and it will change its angle in every few seconds. Motion detection: These days many HD-PTZ cameras are available that comes with a motion detection sensors. That means if you would set it on motion detection mode, then as soon as the CCTV camera will detect any motion, it will point to that motion, it will make a lock on the object or subject and it will keep tracking as long as possible. This kind of cameras can be a good option for those places where you want the best security coverage but you do not have a dedicated team to do the monitoring. Better picture quality: As already explained HD-PTZ camera can do the zooming to get detailed pictures. 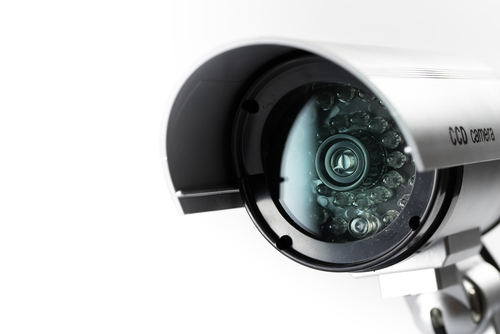 If you would choose a good quality camera for your CCTV system, then it can optically zoom up to 36 time and after that it can do the zooming on digital mode. That means you would get only the best picture quality with and HD-PTZ Camera which is not possible with a fixed focus camera. That means you will get much better use of your CCTV system with it. Low cost of operation: If you are covering a large area than cost of the operation would be very less as an HT-PTZ camera can cover larger area. So, if you would use fewer cameras for your CCTV system, then also you would be able to cover the area and total cost of operation would be much lesser for you compared to fixed focus CCTV camera. 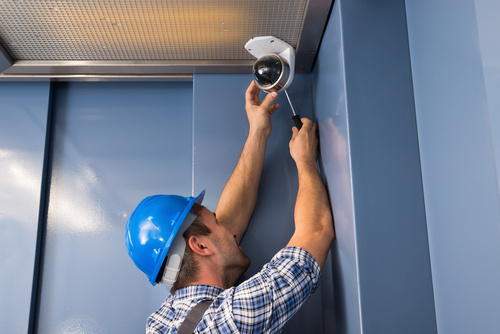 Need regular maintenance: If you want to cover it for a larger area, then your CCTV operation cost would be always cheap for you and you may not need to worry about initial cost as well. But a PTZ camera will have moving objects in it which makes it vulnerable to various damages as well. 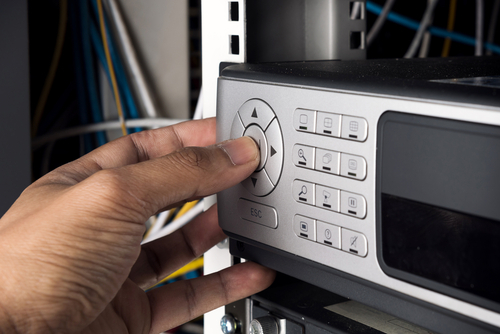 That means you would have to do regular maintenance of the system to keep the CCTV working in a proper manner. So, when you do the installation of this kind of camera in your CCTV then you need to plan for its maintenance as well to keep it working in the future as well. Chances of having blind-spots: When you choose the HD-PTZ camera with its moving finicality, then you might actually miss some details with this. For example, if you are using HD-PTZ camera to monitor an area and you cover one section at a time with it. That means few places will remain unmonitored for some time and if a person knows how to identify the blind spot then he can misuse that information. So we can say this blind spot is a complex drawback of this type of camera and you should keep this in your mind while installing HD-PTZ camera in your CCTV system. Need someone for monitoring: In a normal situation you would not need to do the monitoring of CCTV system and you can check the recording later. But when you would use HD-PTZ camera then you may need to have a person that can do the monitoring of your system. That means if you do not have a person that can do the monitoring, then you might never get the good outcome with it. So, if you are ok with the monitoring part then you can think about installing the HD-PTZ camera in this system else you can try the fixed focus camera for same. Addition to these pros and cons, HD-PTZ camera can have many other benefits and drawbacks as well that I failed to mention in this article. So, when you choose this type of camera for your CCTV system, then make sure you check it on the basis of these pros and cons and you wisely choose it to get the best and optimum result. Also, when you choose it then make sure you understand your requirement as well to avoid any kind of complication or troubles in the future.